Elizabeth Warren still hasn't figured out how to put the 'Native American' issue behind her. When Elizabeth Warren first entered the political arena in 2012 in her ultimately successful challenge to Scott Brown for the Senate seat formerly held by Ted Kennedy, she quickly became the focus of attacks by conservatives not only in Massachusetts but also nationwide. To a large degree, these attacks were rooted in Warren’s full-throated advocacy of a “progressive” economic agenda that was significantly to the left of where the Obama Administration and most of the Democratic Party stood at the time, and which in many respects was a precursor to the surprising success that Vermont Senator Bernie Sanders enjoyed during the battle for the Democratic nomination in 2016. 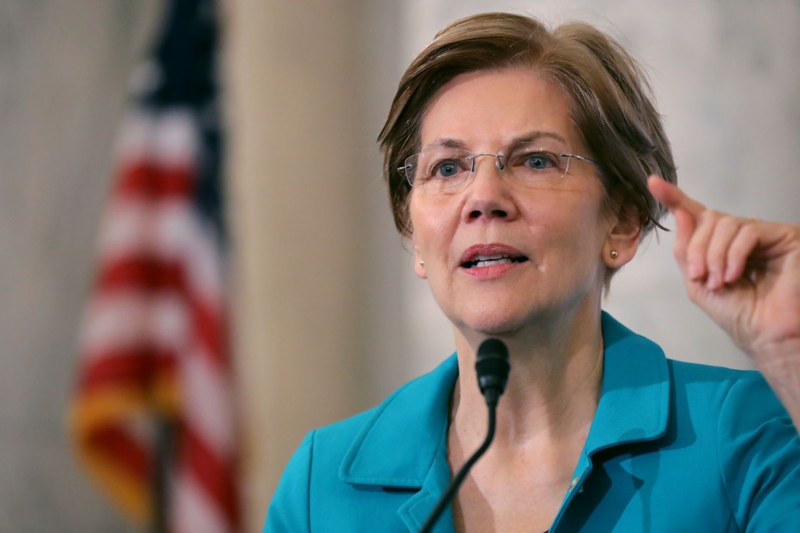 Prior to running for office, Warren had been involved with the creation of the Consumer Financial Protection Bureau, which has been the target of particular ire on the right, as well as being a Law Professor at Harvard University since at least 1995. 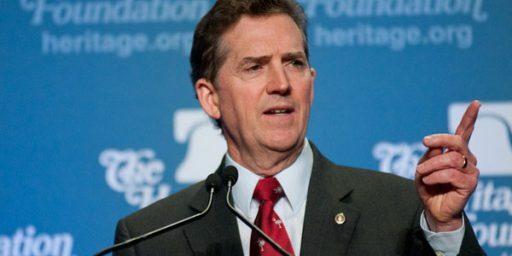 In addition to attacking her because of her ideas, though, conservatives made the seemingly odd but nonetheless telling choice of attacking Warren based on her ethnicity and what conservatives said was the false claim on her part that she has Native-American heritage, something she said was a matter of family folklore. The attack on Warren on this issue was really two-pronged. 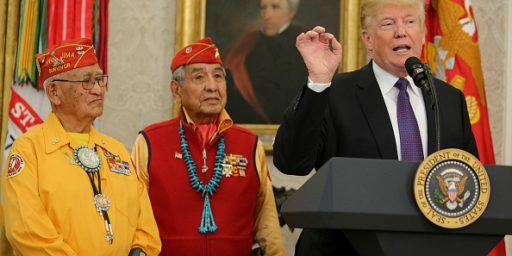 On the one hand, conservatives argued that Warren was lying about her claim to have any Native American heritage at all, and thus began referring to her with the term “Fauxcohontas” or, as President Trump has turned it into, “Pocahontas.” Exactly how they would know for sure it’s a lie was always unclear, but it was nonetheless repeated as gospel by many on the right as if it had been medically verified. 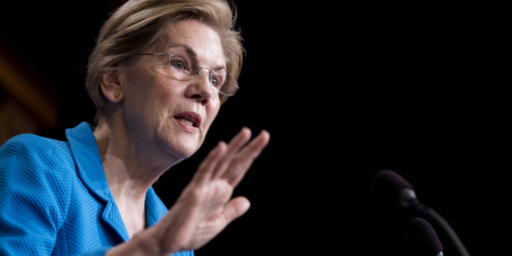 The second prong of the attack was the claim that Warren somehow used her claim to be part Native American to benefit from Affirmative Action hiring practices at Harvard Law School, an assertion which has largely been debunked, as reports from the Washington Post’s Fact Checker, including a follow-up report, Politifact, FactCheck, and The Boston Globe have all made clear. Despite this, and despite the advice of some pundits that Warren should just leave the issue behind, the Senator decided late last year to release the results of a DNA test that determined that she did have some genetic links that have been associated with Native Americans. Rather than settling the matter, though, the test ended up backfiring as many Native American groups criticized the idea that DNA tests can be used to establish Native American heritage. In this regard, I must concede that my initial reaction to the release of the DNA test was incorrect and that James Joyner was right when he predicted that the test would end up backfiring on Warren given the fact that the results showed that she was at most 1/32nd and possibly as little as 1/522nd Native American depending on how results are interpreted. Additionally, as noted, Native Americans have long held the position that Native American ancestry is dependent not on DNA but on one’s presence on officials tribal rolls, which show no evidence of anyone from Warren’s family has ever been a recognized member of the Cherokee or any other tribe. As James noted in his post on the DNA test last year, none of this has any bearing on Warren’s fitness for the Presidency, but it does demonstrate her seeming inability to put what ought to be a simple matter behind her. From the beginning, rather than sticking to a claim that nearly every major Native American organization has rejected, Warren simply should have said that she the claim to a Native American heritage was something that had been handed down in her family for generations. Given the fact that she was born and raised in Oklahoma and that her family had long-established roots there this isn’t entirely surprising given the fact that the state had a long history as Native American territory before being settled by American pioneers in the late 19th Century, at which point there was no doubt significant cross-ethnic relationships between American settlers and Native Americans as well as family legends that claimed the existence of a link to Native Americans in their family history. 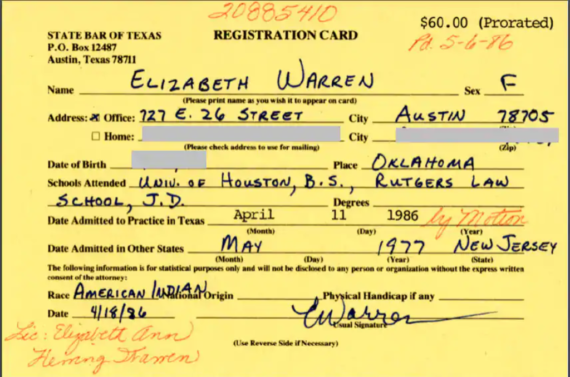 She should have also admitted that, for at least some part of her life, she claimed that Native American heritage as part of her identity and that it was only later on that she realized that doing so was improper and offensive to Native Americans. Instead of doing that, all she’s done is keep digging a bigger and bigger hole for herself. While this may not matter to most of the people inclined to support her, it does provide ammunition to the President and other critics. In an election where Democrats seem most concerned with electability, that could prove to be a problem for the Massachusetts Senator going forward. She keeps picking at this like an itchy scab. Just leave it alone. If Ted Kennedy could get past a dead woman in his car and Bill Clinton, extramarital affair(s), Warren needs to move on. I love Elizabeth Warren, and think she would make a great president. But, she really needs to learn how to control a situation if she has any hope of getting elected. And, this latest flare up gives her an opportunity to do better. I suspect she will get a few more opportunities. On the plus side, there is currently no evidence of her being in blackface. This is a nothingburger. Zero. Zilch. As worthless an argument against a person as any of Trump’s stupid nicknames and putdowns. In short, this “issue” will not change anybody’s mind. How hard is it to just say “when I was growing up, my mom kept telling we had native american ancestors and I believed her, but it looks like that family legend was mythology rather than history”? A) The behavior of Twitter mobs is eminently predictable. B) The only way for Elizabeth Warren (and the rest of the Democratic left) to put this behind her is to acknowledge –forcibly and finally– that what we have come to think of as “identity” is not that interesting and rather unimportant. @Stormy Dragon: I don’t know, but apparently it is–although she has used something similar as evidence but can’t bring herself to go the other way for some reason. When and why did not wanting people to be ripped off by banks, brokerages, and credit card companies become owned by the progressive movement exclusively? Do conservatives have no friends, family, relatives among the middle and lower classes? When Republican economic policy was shortened to committing class warfare on behalf of the upper class. In other words, circa 1980. This “issue” has to be the biggest nothingburger that I have heard in my life. You know what this reminds me of? One of those sitcoms or rom-coms where there’s some stupid misunderstanding that swells into a massive plot conflict simply because none of the characters ever think to speak in plain English to clear up the mess. I’m always yelling at the screen whenever I see that sort of thing, because I’ve always thought it was too contrived to be believable–a sign the writers were dumbing down the characters just to keep an artificial plot point alive. That’s how Warren has been handling this pseudo-controversy from the start. It’s how Northam has handled the blackface controversy. What he did is orders worse than Warren, but I could hardly imagine someone bumbling the aftermath more ineptly. Now contrast it with the eloquent, thoughtful manner in which Obama handled the Rev. Wright controversy. He managed to diffuse it while expressing nuanced and complex ideas, before an electorate we usually think is only receptive to rhetoric that can fit on a bumper sticker. And please don’t anybody talk about how he was a “once in a generation talent.” It shouldn’t be this difficult. I believe that she’s said pretty much that, several times. Maybe she should have appeared on PBS “Finding Your Roots.” Next week’s episode will have Paul Ryan, Tulsi Gabbard and Marco Rubio (really, see Episode 6). However records of the late 1800s/early 1900s are somewhat incomplete from Oklahoma (Indian Territory). Nobody cares. She seems to be the only one that is into this. It has sort of got me kind of interested into maybe doing the “Ancestry” search. Hillary Clinton’s email practices were superior to Colin Powell or Condeleeza Rice. Actually, she took Colin Powell’s advice, in the service of being able to work effectively. The Clinton Foundation was a total nothingburger. Uranium One was nothing. You are underestimating the ability of the GOP, New York Times etc. to morph nothingburgers into damaging distractions. The GOP will push a lot of lies and misrepresentations about this now that they have a hook to latch on to. @Raoul: Well I would agree with you except that she seems to have kept doubling down on it. Why is beyond me, but a lot of “why”s are beyond me. Have you guys seen a Howie Carr’s comment today? So Howie Carr and the Boston Herald are part of Foxlandia I gather. A bit over-the-top. Similar piece is at the Daily Beast. One day story would be my guess. Behold the racist bile guys like Florack simmer themselves in all day every day. I assume this Howie Carr dude is a Talk Radio host? I mean in addition to “writing” columns for Murdoch-owned tabloids? I think of them as Vaseline plots. If the characters would buy a jar of Vaseline and apply liberally, they could pull their heads out of their asses and stop boring me with their tedious idiot plot. Why would her wealth tax be unconstitutional? The only way for Elizabeth Warren (and the rest of the Democratic left) to put this behind her is to acknowledge –forcibly and finally– that what we have come to think of as “identity” is not that interesting and rather unimportant. Nope. The problem for Elizabeth Warren is that identity, if you are a P.o.C is important. If you are Black Male it does not matter how you identify yourself, the cops are going to see you as a Black Male. There is the issue of discrimination against Native Americans, specially in the Mountain West. Elizabeth Warren, that claimed to be Native American, would never be harassed by cops for being Native American, even if she sat the whole day in some city in rural Idaho or Montana. That’s the issue when White people try to claim some identity as p.o.c. And Blacks, Asians and Hispanics that vote in the Democratic Primaries are surely going to note that. Which of your “journalistic” “principles” requires these scare quotes around the word progressive in that sentence, Doug? Are you skeptical that her economic agenda is actually progressive? On what basis? @Stormy Dragon: Keep in mind that Elizabeth Warren is from Oklahoma, where the proportion of the population that can legitimately claim Native American ancestry is well above the rest of the U.S. Until my sister and I had our DNA analyzed, we believed that we were part Muscogee, based on the appearance of my great-grandmother. The constitution requires direct federal taxes be apportioned according to population (Article 1, section 2, clause 3 and Article 1, section 9, clause 4). The income tax required an amendment (the 16th) to bypass this. Any wealth tax would presumably require a similar amendment. Having Native American ancestry doesn’t make you a Native American anymore than my German ancestry makes me a German. I have to say that this is not surprising at at – in business this would be a FIFO situation, first in, first out situation. She’s saving everyone a lot of time and money. This ‘Pocahontas’ issue has – even in the context of a dumpster fire bottom feeder like Trump -made her un-electable. She’s on her way to being Hillary-ized. I hope to not see her in the convention finals. I want younger candidates, hate to say it but, this is good news. Elizabeth Warren, that claimed to be Native American, would never be harassed by cops for being Native American, even if she sat the whole day in some city in rural Idaho or Montana. Native Americans are the gold medal winners of “disproportionate police violence.” They’re also one of the poorest demographics in this country. To be a Native American woman in 2019 means you might go missing and no one will come look for you. I come from one of those white families that claims some Native American heritage because our ancestors (ethnic Germans known as the Volga Deutsch) settled in “Indian Territory.” Granny knew some Indian words, sure, but she was a blue-eyed light-haired white lady who’d have to go back to the Viking era to discover what tribe she belonged to. Elizabeth Warren always struck me as being in a similar boat. (Also, with all due respect, but I suspect a lot of POC chafe at the “identity” society has bestowed on them.). My two maternal grandparents were born in Japan, so, I look like an Asian. If people don’t know my name they will ask for “Japanese” guy. A lot of anecdotes that I usually read from Asians, like people asking incredibly dumb stuff about where you were born or whether if you speak the native language of your country happened to me. I don’t like the identity around Japan because Japan is far away country that I’ve never visited, and in some sense Brazil has been incredibly good to me. I don’t like Japanese cuisine, for instance. But people will inevitably will throw that identity to me. I remember seeing Soledad O’Brien(I sincerely thought that she was White when I first saw her on TV) saying that she went to teenager, saying that she should identify herself as Black or something and thinking that was stupid. That’s why seeing a White Woman(Not simply a light-skinned woman of color) pretending to be a minority is surely to be offensive, and that’s a huge problem for Elizabeth Warren. She was trying to have the good part of being Native American without having to deal with the whole package. But, for some people, this type of identity will surely matter. Not because of how they identify themselves, but because of how other people identify them. You should try it. I did. Turns out my ancestors were pirates. So I made up a story about how I really was a descendant of the King of England. At least 1/47379256. I think that’s good enough.